We partner with you to fully understand your needs so we can source the best possible fit. We learn as much as possible about you, your organization, the position, your company culture and well as corporate and department goals. We speak with the hiring manager to capture the intangible elements and together we identify key elements that will attract candidates and discuss how to best present the opportunity to recruits. We research companies from which to recruit, and candidates to headhunt. Targeted companies typically include competitors, similar environments and vendors. We source candidates through various methods including our extensive database, industry contacts, referrals, original sourcing calls (headhunting), and our network of Recruiting Associates (over 200 search firm partners). We cast our net as wide possible. We identify and interview the most promising individuals assessing credentials, motivators, career objectives and achievements. We present only skilled, energetic, well-matched candidates for the position who reflect the culture of your organization and team. We arrange interviews and prepare the candidate for each round of interviews briefing them on the interview agenda, your priorities and expectations. Likewise, we prepare you for each interview drawing your attention to the candidate’s particular goals and aspirations. After the interviews we conduct post-interview briefings with both parties. With the candidate we obtain detailed feedback regarding your opportunity and how it compares with others they may have in process. With you we discuss each candidate and help you analyze their strengths and weaknesses. Our goal is to create a win-win outcome for both you and the candidate. As an objective third-party, we are in the ideal position to assist you in determining the appropriate compensation package and structure an offer that will work for the candidate of choice. We offer experience, insight and counsel to help facilitate communications regarding salary, benefits, and relocation issues. 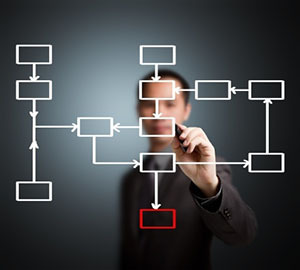 We are highly effective in identifying any obstacles or underlying issues. We reconfirm compensation criteria, revisit counteroffer and start date availability with the candidate. We present all components of the offer to the candidate. We secure final agreement and terms. After acceptance, we help the candidate with their resignation and effectively deal with any counter offer from their current employer. We are dedicated to our clients and candidates. We will stay in touch with both parties to ensure continued satisfaction.